And I had to buy it. 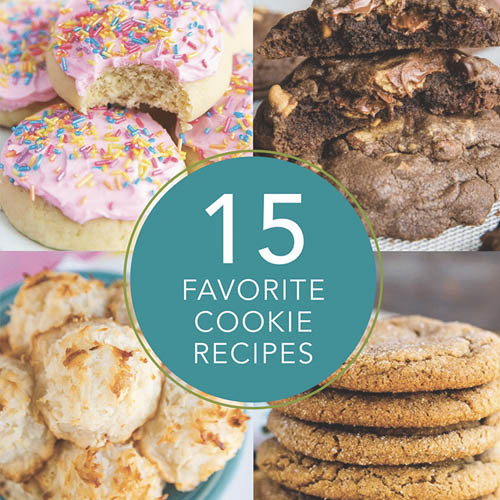 Because I had to make these. 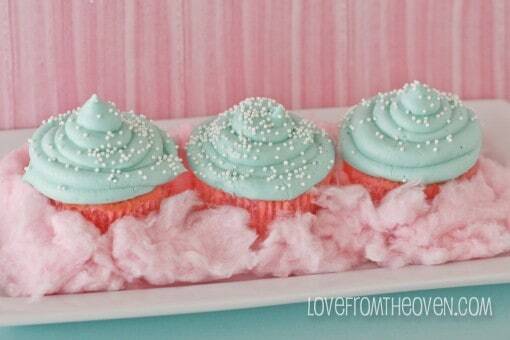 Cotton Candy Cupcakes. Inspired by the amazing cupcakes at American Cupcake (see a pic over on Bakerella). 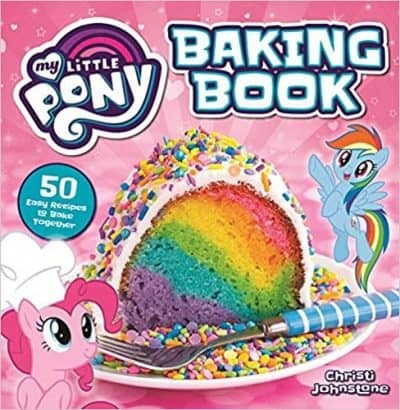 This is really more of an idea than it is an actual recipe. I kept these pretty simple. 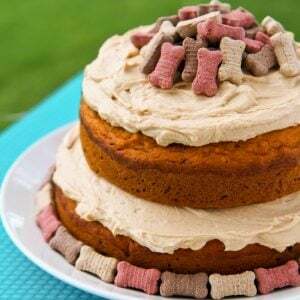 Just a box white cake mix and a quick buttercream frosting. 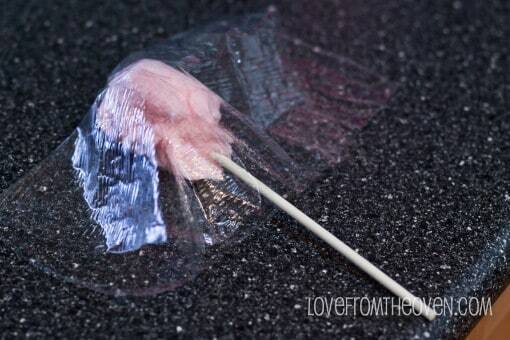 I added food coloring and cotton candy flavoring to both. 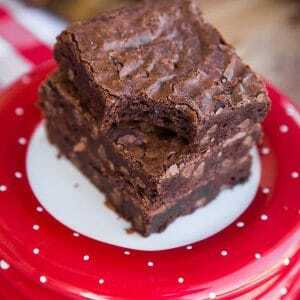 To be honest, none of us could taste the flavoring in the cake (and would just leave it out if I made these again). The flavor shined in the frosting however. 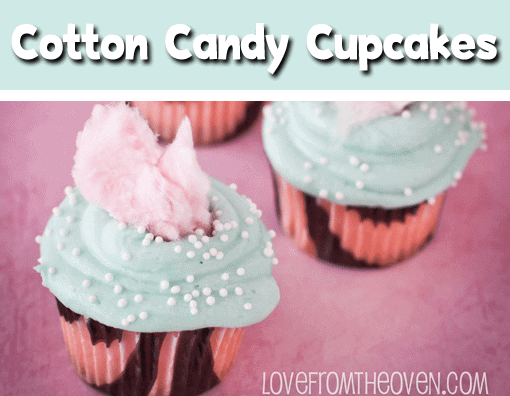 I wanted to use the new Duncan Hines Frosting Creations Cotton Candy flavor, but couldn’t find it in my area. 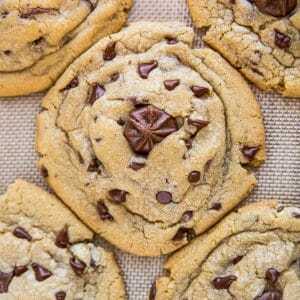 But it would be perfect for these! 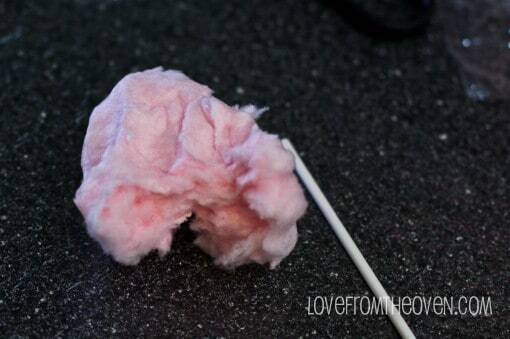 I pulled apart the cotton candy to make little “poofs” sort of like cotton candy pops. While they went on to the sticks, they don’t stay on that well, but are held on nicely with some plastic wrap and a ribbon, making for a fun presentation. 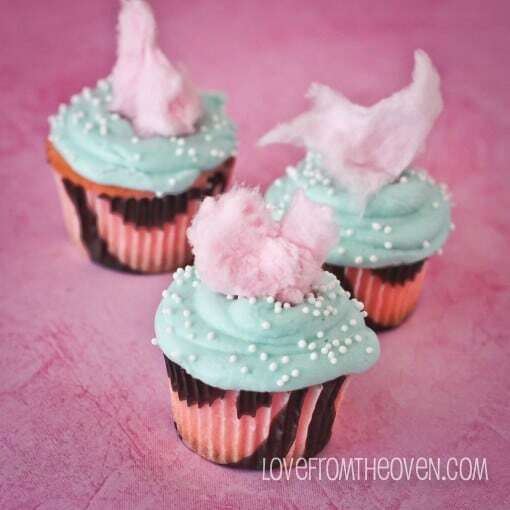 Or add some cotton candy to the top of your cupcakes (right before serving). Fun stuff. 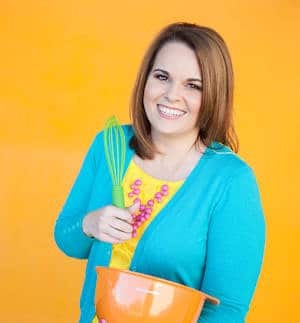 These would be great for a kids birthday party or event. Enjoy! Wow, what a great idea! They are so cute! It is more like a peace of art than a cupcake. They are so cute and fluffy. Just perfect. Happy Easter! 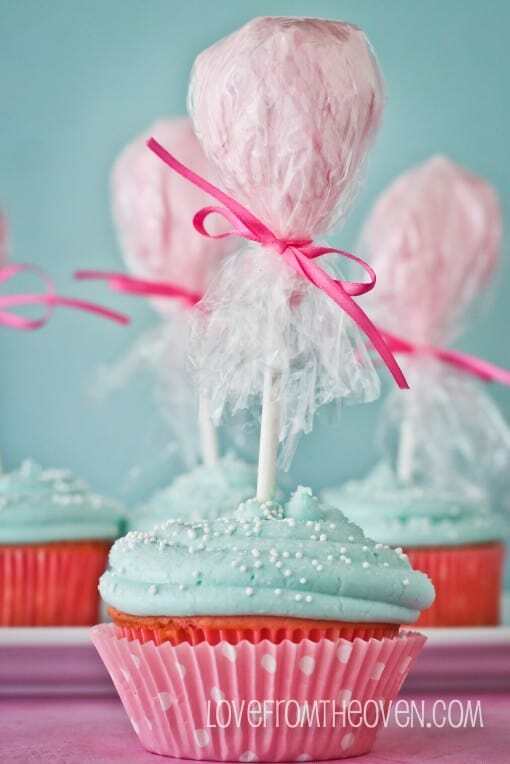 What a nice cute cupcake idea!! !I am sure the kids loved them!!! 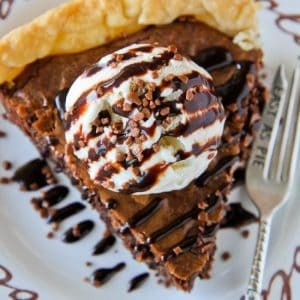 OH MY…. you must find that icing! 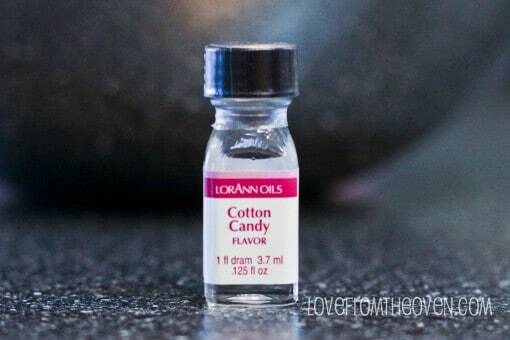 We loved the DH cotton candy flavor???? What a great idea!! 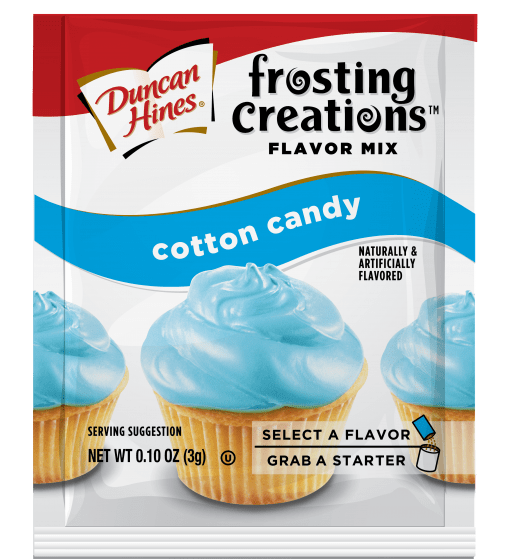 What I like even better is that I can now save a step (or two) and buy Duncan Hines Frosting Creations and in two quick steps (Step 1: grab a starter, Step 2: mix in a flavor packet), I can get YUMMY cotton candy flavored frosting. Where did you get the cupcake liners? I just wanted to save anyone who was going to try these Duncan Hines flavor packets. It is a headache in a little packet. I added to flavoring powder to my own homemade buttercream frosting. I was super excited to try it, and planned to use it on my 1 year olds upcoming first birthday cake. It was a disaster! It smelled like some weird type of chemical, and the flavor was, well, just nasty. 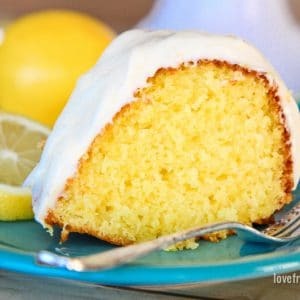 I basically ruined an entire batch of delicious buttercream frosting. I searched online for an hour for someone else that had used this stuff and maybe found a way to make it good again. But no. Every review I read was terrible as well. 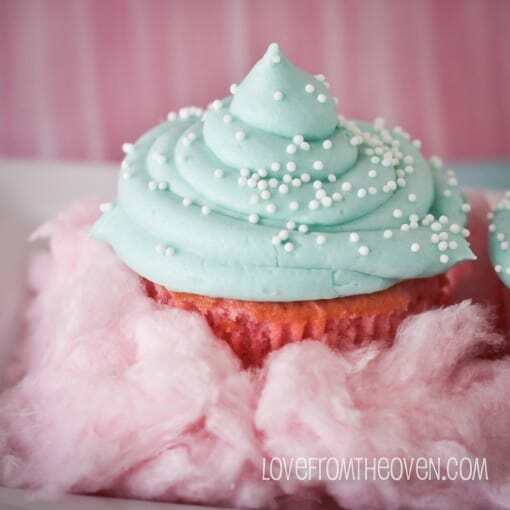 Next time ill be trying real cotton candy in the frosting. How fun! 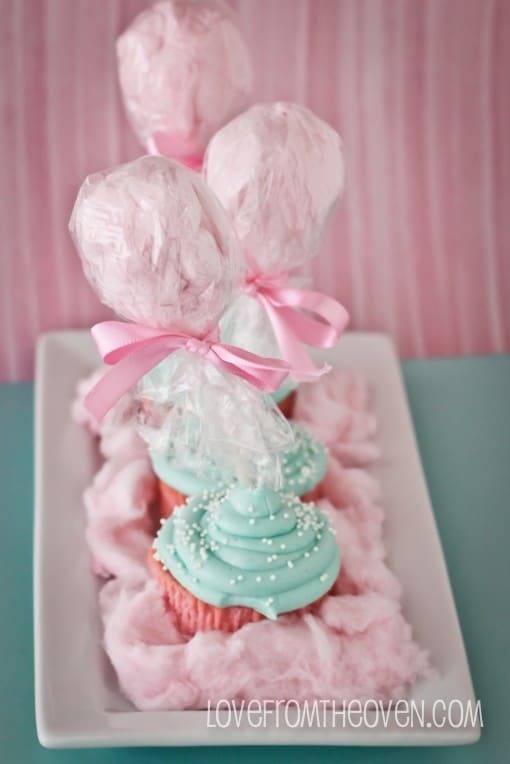 I LOVE cotton candy! My daughter Mandy shared this with me as she kows I love it. 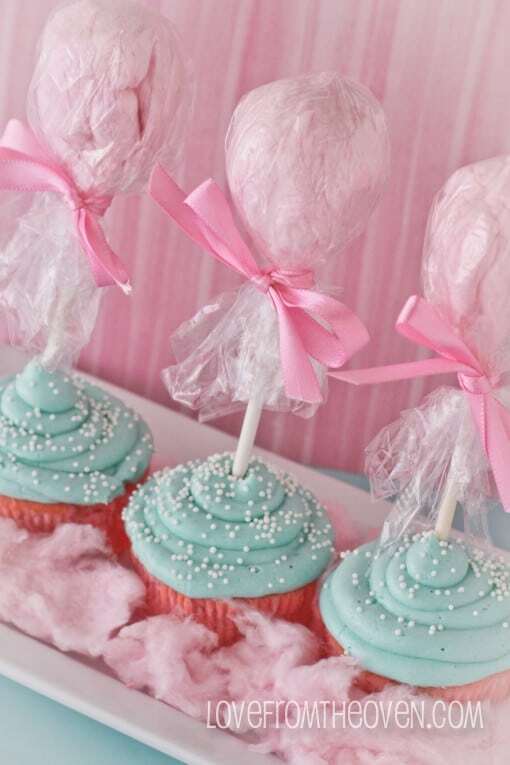 Also, because I saw some heart shaped sugar cookies (some on sticks) with pink frosting and a little puff of cotton candy on top. They were really cute. 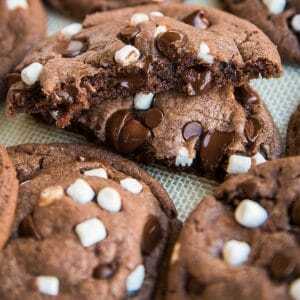 I will have to try these. 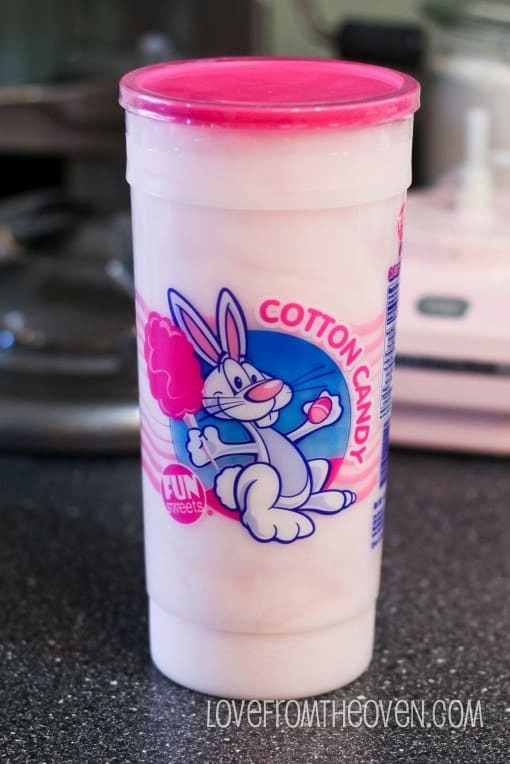 I have been wanting to get a little cotton candy maker, this would be so fun when the grandkids come to visit! 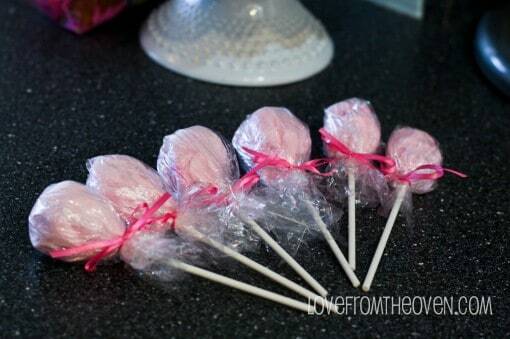 I made these for a Valentines day wedding shower, but using my homemade cake recipe. 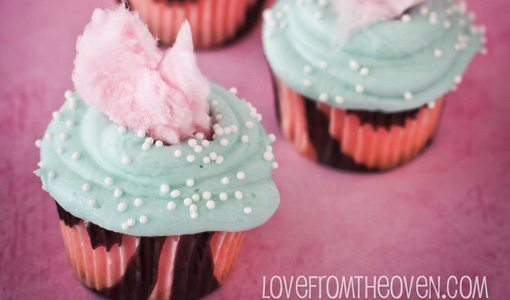 I didn’t add any flavor to the cake, but I made homemade buttercream frosting, and added the cotton candy flavor. It just didn’t taste right. I kept playing with it, and I ended up adding 1tsp of imitation strawberry flavoring (McCormicks brand)… Turned out perfect! The strawberry added just the right flavor… Still tasted like cotton candy, too!